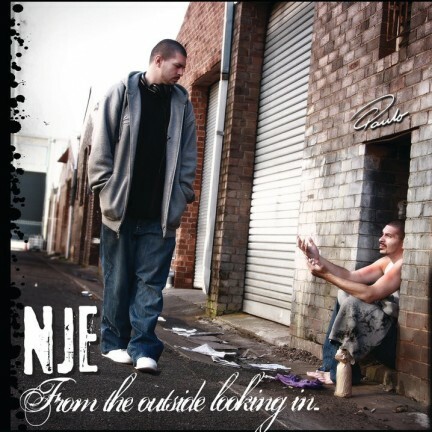 I’ve got two copies of NJE’s new album From The Outside Looking In to giveaway. You’re looking at 18 tracks of hip hop featuring Unda Dwella, Jennifer De La Cruz, Mind Over Matter, Untaymable, Danny Boy, Phatchance, Torcha & Isabel Cuevas. I’ve been bumping the album on and off and so far so good, but i’m still not completely convinced of the greatness some chaos warriors are slapping it with, however i have only listened twice so far. So you want this CD hey? well we like to switch it up a bit so today it’s question and answer and first in best dressed. All you need to do is fill out the form below with your answers to the questions below. The FIRST TWO people to get BOTH QUESTIONS RIGHT will win; beware these questions are double trouble. Don’t forget to hit up NJE’s facebook fan page and become a fan and while we’re doing facebook we’re there too, so like us. What city on the CENTRAL COAST is NJE due to do an album launch at later THIS MONTH and which MC from W.A is also on the bill? Who is the PRODUCER of the BEAT for NJE’s single “BLACKOUT” and which MC did he recently release an ALBUM with distributed via OBESE RECORDS?